March 2014 - Guardian Safety Solutions International, Inc.
Here’s some good news for a change. The Knoxville TN Fire Department shared one of their best recipes with us via WBIR-TV. I bet the cooks don’t leave the kitchen unattended while they are making their famous avocado fries. Captain D.J. 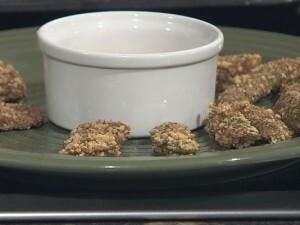 Corcoran with the Knoxville Fire Department shares his recipe for Spicy Avocado Fries. * Combine breadcrumbs, chili powder, and ground flax, place in bowl. * In separate bowl whisk one egg. * Dip peeled avocado slices in egg, then in breadcrumb mixture. * Place on cooking sheet in preheated 400 degree oven for 15 minutes until crisp. Captain Corcoran recommends serving with your favorite hot sauce. Yum! The Knoxville Fire Department provides free smoke detectors, installed by members of the department, inside the city of Knoxville. For information call the city’s 3-1-1 number.